OPERATIVES of Special Anti-Robbery Squad, (SARS), at the Zone 2 Headquarters, Onikan, Lagos, have arrested some thieves who specialize in stealing containers loaded with goods from the Apapa Wharf and Tin-Island Port. Five hundred cartons of drugs were recovered from three of the thieves. The Guardian gathered that the suspects who were identified as Emmanuel Onyike, 51; Alabi Daudu, 68, and Paul Aina 58, were apprehended after they stole a 40ft container loaded with pharmaceutical products valued at $200,000, belonging to United States Agency for International Development (USAID). Sources disclosed that a petition signed by a representative of the agency, Bankole Michael, was sent to the Assistant Inspector General of Police, AIG, in Charge of Zone 2, Mbu Joseph Mbu, alleging that he contracted a transport and logistics firm to deliver the drugs at the warehouse of Society for Family Health (SFH), Sango Otta, but the drugs were diverted. The AIG was said to have directed the officer in charge of SARS, Peter Gana, to investigate the matter. A source who spoke with The Guardian on the condition of anonymity, disclosed that a member of the syndicate was trailed through phone tracking to Ikorodu area of Lagos State, where he was arrested. He was said to have confessed to the crime and led SARS operatives to arrest Paul and Alabi in their hideouts. “Onyike also mentioned one Babawale, Ikechukwu, Shola and Alhaji. 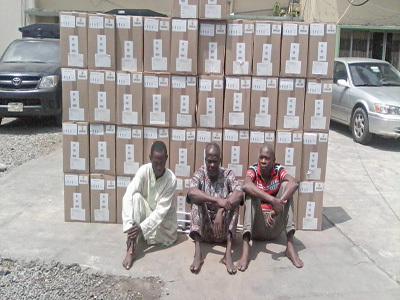 He led us to a warehouse in Igando area of the state where 500 cartons of the drugs were recovered. Our investigations have so far indicated that the syndicate operates fake transport and logistic firm at the port and they usually divert goods from their destination whenever they get contracted,” the source said. Meanwhile, when The Guardian interacted with the suspects, Onyike, who is an amputee, confessed that he was new in the business and he joined the syndicate because he needed money for his upkeep. “I am a native of Owerri, Imo State and I lost one of my legs last year in a car crash. One of my friends, Babawale got me involved in this business and he promised to pay me N500, 000, if I can help him get a warehouse where he could store the goods. “I knew a man who has an empty warehouse in Igando and I approached him. I lied to him that the goods belonged to a friend who lives abroad and he accepted. 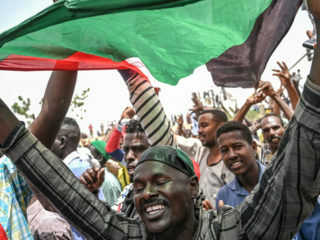 “I don’t know how Babawale and others stole the goods from the port, but the money they promised to pay me after the sale of the goods was what lured me into the business,” he said.